Pimkie has deployed Reflex WMS in all its warehouses in France and abroad to optimize its BtoB (to distribution warehouses and stores) and BtoC (e-commerce) logistics flows. Since 2007, Pimkie's employees have been impressed by the tool's ability to adapt to changing processes and by the quality of support provided by Hardis Group's teams. "Hardis Group's teams listen carefully to their customers and maintain constant dialog with them to upgrade their solutions. They are real customer-partners whose specific requirements are integrated as standard when they are likely to interest other customers." 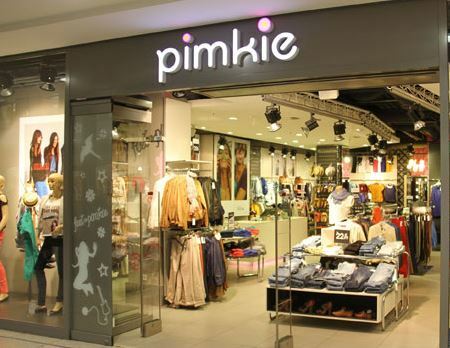 Pimkie is a fast-fashion chain created over forty years ago in Lille in the north of France. It has gradually grown internationally and the chain now has more than 700 stores in 30 countries. In 2006, Pimkie moved into Internet sales by launching its online retail site for France and later for Germany, Spain and Italy. In 2007, the company decided to change its logistics organization to manage the restocking of all its stores throughout the world as well as Internet orders. Goods from suppliers will now be centralized in a 19,500m2 'consolidation' warehouse in Germany and then dispatched to four distribution warehouses in France, Germany, Spain and Italy. Meanwhile, e-commerce flows will be handled internally from a French distribution warehouse. At the same time, a new IT framework plan has been defined to replace the specific applications, including warehouse management, with standardized and scalable market software packages and gradually withdraw from IBM AS/400 environments. The Reflex WMS warehouse management software package was chosen by Pimkie as it met the requirements of the framework plan. The solution was deployed in under two years at the new consolidation warehouse and the four distribution warehouses. In October 2012, the decision was made to implement it to also handle e-commerce flows at the Wasquehal warehouse near Lille. Now all warehouses in France, Germany, Spain and Italy operate in the same way using the same software, hosted in the chain's data center in Lille and managed by Hardis Group.